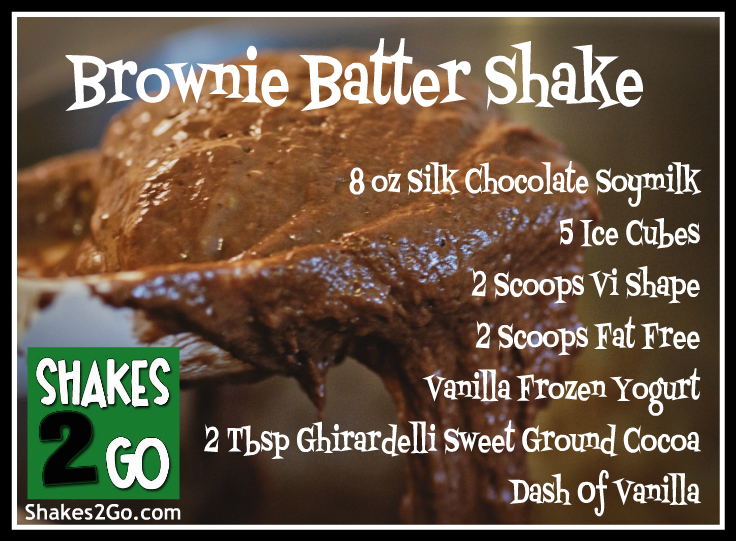 Brownie Batter Shake | Shakes 2 Go! Get your ViSalus shake recipes HERE! All of the shake recipes found on this site can be made with any type of milk, but we recommend skim, 2%, Almond, Soy or Coconut. You can also use low sugar juices such as Cranberry. Have fun and create your own delicious V-Shape shakes!